with unlimited use of Jacuzzi, Dry and Wet Sauna for only P1599! 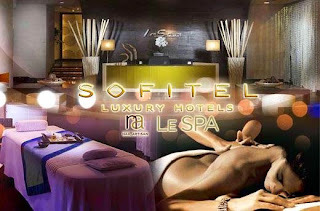 Being treated to excellent pampering in this exclusive spa in Sofitel is what true indulgence is all about. The attendants are very courteous and the treatment was just divine. No Metrodeal complaints here at all as I am more than satisfied with the experience. The 60% savings is just the icing on the cake! Be quick and grab the deal because exclusive offers like these are not bound to last forever!